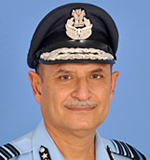 Air Marshal Ravinder Kumar Dhir took over as Air Officer Commanding-in-Chief (AOC-in-C) of South Western Air Command (SWAC) on June 1, 2015. On arrival at HQ SWAC, the Air Marshal inspected a ceremonial Guard of honour and met the key personnel. On assuming command as the AOC-in-C of SWAC, he extended warm greetings to all personnel and their families. 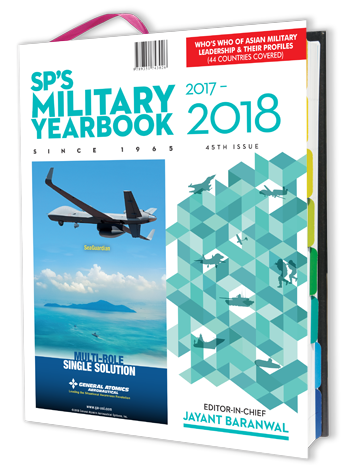 He urged all Air warriors to continue their relentless effort with dedication to attain higher levels of operational capability while executing assigned tasks efficiently with utmost safety. Air Marshal Ravinder Kumar Dhir AVSM VM, an alumnus of National Defence Academy Khadakwasala was commissioned into the fighter stream of the IAF on June 15, 1979. The Air Marshal has flown over 3200 hours on more than 25 types of aircrafts in his career spanning over 36 years. For his distinguished service, he has been awarded with ‘Vayu Sena Medal’ and ‘Ati Vishisht Seva Medal’ by the President of India. The Air Marshal has a rich and diverse experience in operational and experimental test flying. He is a qualified Flying Instructor, an Experimental Test Pilot and has commanded the Air force Test Pilot School. During his tenure at ADE, he has been instrumental in providing valuable inputs to the LCA project. The Air Marshal has been the project Test Pilot of the BISON upgrade project team at Russia and later commanded the first Bison Sqn at Ambala and has commanded a frontline operational airbase. He has served as the Principal Director Air Staff Requirements at Air HQs. He was also the Technical Manager (Air) at Acquisition Wing in Ministry of Defence and carried forward the drive for new acquisitions in IAF. He has served twice earlier at South Western Air Command as Air Defence Commander and Senior Air Staff Officer. Before taking over his present appointment as AOC-in-C, SWAC IAF, he held the appointment of Senior Air Staff Officer at Southern Air Command. The Air marshal is married to Mrs Neelam Dhir. She has vast teaching experience including at an International School at Moscow, Russia. They have two children, both are married.